In 2018 alone, over 5,000 couples from around the world enjoyed our online marriage preparation experience! Having served more engaged Catholic couples than any other provider, we have learned a great deal about the couples themselves, how they found us, and their experience from start to finish. We are excited to empower you with this knowledge as you minister to today’s Catholic couples! According to the US Census Bureau the national average is 27 years for women and 29 for men. From this we can learn that Catholic couples are waiting almost two years longer than their peers to get married, showing that these couples are taking this important decision and Sacrament seriously. The average length of engagement for couples who experienced our online program is 15 months. On average, our couples began the course 106 days before getting married. This is interesting, considering our program exceeds the 8-hour minimum and required topics as prescribed by the United States Conference of Catholic Bishops. Furthermore, based on the knowledge we have gathered from the thousands of Catholic couples who enjoyed our marriage preparation experience, the average time spent from start to finish was 21 days. This infers that our couples desire a more in-depth, immersive, and intentional marriage preparation experience. Most couples are experiencing our program together in the same location, allowing them to pause the videos and have conversations as they are working through their marriage preparation. Couples regularly state that the “pause and discuss” feature has the most valuable benefit of allowing them to dive deeper on a given topic, and opens up discussions that would not normally take place in an alternative marriage preparation program, that is merely “meeting the requirement”. This is interesting because more than half of the couples who chose our online course for marriage preparation did so due to their schedules making it difficult to attend a gathered event. 61% were referred by Marriage Ministry Leaders, like you, either at their parish or diocese! By a landslide, couples found out about our course from you, more than any other avenue! We appreciate your continued support and friendship! For more information about couples in your region, and about how our programs are a powerful tool in your ministry’s toolbox, in addition to your existing traditional marriage preparation options, we would love to connect with you, and send you an informational packet in the mail! The Marriage Group is excited to announce a brand new Money Matters segment to its popular online marriage prep class, Living Our Faith in Love™! Introducing Michelle Shepley, Vice President and Senior Mortgage Sales Manager of a regional bank. Michelle shares relevant financial advice for today’s engaged couples, while reflecting upon her own personal financial journey, celebrating achievements and opportunities learned from bumps along the way. Michelle Shepley was raised by accountants and has worked in the banking industry for several years, most recently in the mortgage division. Michelle and her husband have been married nearly 30 years and own a small business together. The Marriage Group continues to share the Good News of God’s plan for sacramental marriage to thousands of Catholic couples every year. Living Our Faith in Love is an ever-evolving course, following our commitment to remain relevant and accessible to modern couples. Online marriage preparation meets today’s couples where they are! Ministry leaders are invited view this segment, by contacting us for a free demo account. Merry Christmas to our parish and diocesan partners all around the country! 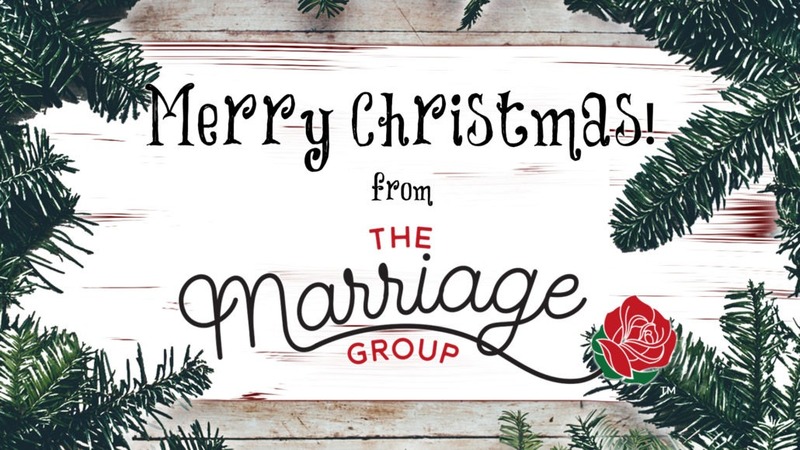 We just wanted to send out a quick reminder about one of the challenges and blessings during the Christmas/Advent season as it relates to preparing engaged couples for marriage. We serve thousands of couples with our online marriage prep courses from all 50 states and nearly 60 other countries each year. One of the things we’ve learned is the week between Christmas and New Years is a really busy week for registrations. Through our surveys and talking directly with couples, we found the reason for the surge in registrations to be because couples where one or both of them have moved away from home (either because of the military or a new job), they come back together during the Christmas season, have a limited time frame to get their marriage preparation class completed (usually just that week of Christmas), and the online option is usually the only option available. Most of the time, traditional Pre-Cana is not available during that time. This is just a reminder of the tool that is in your ministry’s toolbox – online marriage prep from your friends here at The Marriage Group. In these next couple of weeks during the Advent season, as you see individuals attending Mass that you may have not seen in a while (if they moved due to attending college, joined the military, etc), and they need to complete their marriage prep in a meaningful way, we encourage you to direct them to our online, on-demand program. Demo the Course in 5 Minutes! Greetings! Gordon Whitney here, one of the producers for The Marriage Group, and I wanted to introduce the latest addition to our popular online marriage prep course, Living Our Faith in Love: The Walkthrough Video. With this 5 minute walkthrough, you as Clergy will be able to have a quick but deep dive into what our couples experience firsthand. The video helps to tackle all questions related to the course material, as well as breaks down all of the ‘tech talk’ into an easy to understand demonstration. As we continue to put forth every effort into strengthening our courses, we become better at truly meeting today’s couples where they are, making Living Our Faith in Love a more powerful tool in your ministry’s toolbox, as a great addition to your existing Pre-Cana programs. If you would like some more information about any of our courses, contact us anytime to schedule a call and an extended demo! https://themarriagegroup.com/wp-content/uploads/2017/09/living-our-faith-in-love-demo-the-course-1.jpg 423 1210 gordon http://themarriagegroup.com/wp-content/uploads/2018/03/themarriagegroup-logo-web.png gordon2017-09-20 15:34:322017-09-21 16:31:30Demo the Course in 5 Minutes! The Marriage Group has enhanced its popular online Catholic marriage prep class, Living Our Faith in Love, and NFP Life: An Introduction to Natural Family Planning, with the addition of on-screen captioning in both English and Spanish. Just as you see on any modern TV, “captioning” refers to the written words you see, usually at the bottom of the screen, showing what is actually being spoken by the people in the show. Also, just like with your TV, the captioning can be turned on and off with a click. Users can toggle between English and Spanish captioning just as easily! For people who are deaf or hearing-impaired, captioning allows them to read along with video presentations in real time. When English is the second language for a course participant, captioning is a valuable “crutch” to help them along with understanding the words being spoken. Sometimes, people participate in online courses from a public place, such as a library, where the volume needs to be kept low. In these cases, it is helpful to have the words written on-screen as the videos are playing, making it easy to follow along. We are excited to solve each of those challenges for those we serve. Contact us today if you would like to learn more about our programs. 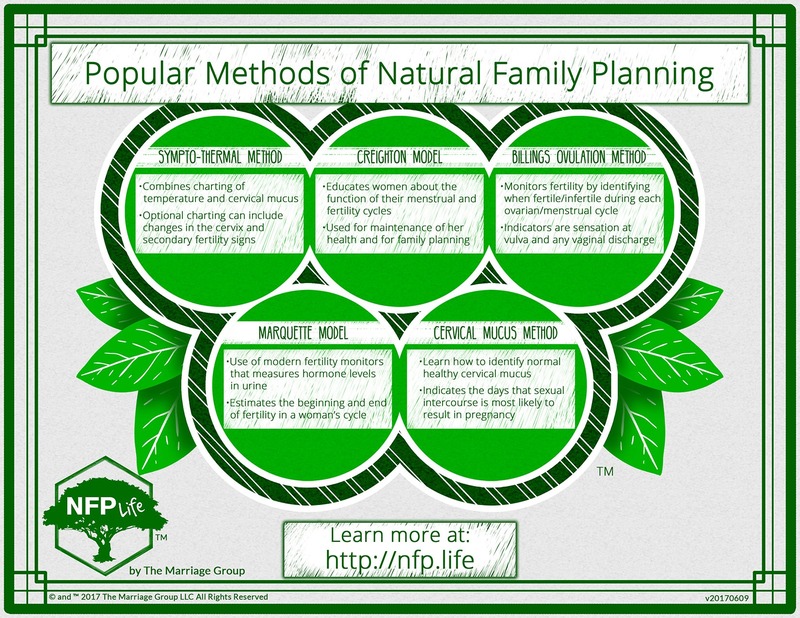 The Marriage Group has been spreading the good news of natural family planning (NFP) through its Learn NFP Online brand since its launch in 2012. Since that time, thousands of women and couples have learned about the Billings Ovulation Method of NFP. There are, however, a handful of other NFP methods. Each method is scientifically-proven as effective for achieving and postponing pregnancy, yet each method has its unique ways of doing so. In response to frequent requests from church groups, ministry leaders, and NFP instructors, The Marriage Group has produced a new introduction to natural family planning. NFP Life is a 20-minute presentation featuring an engaging, approachable, young couple that has been presenting NFP as part of Catholic marriage preparation programs for over a decade. Dustin and Bethany have been married for over 15 years and are proud parents to three very energetic kids under the age of eleven. Can we get married during Lent in the Catholic Church? What do Ash Wednesday and Lent mean?